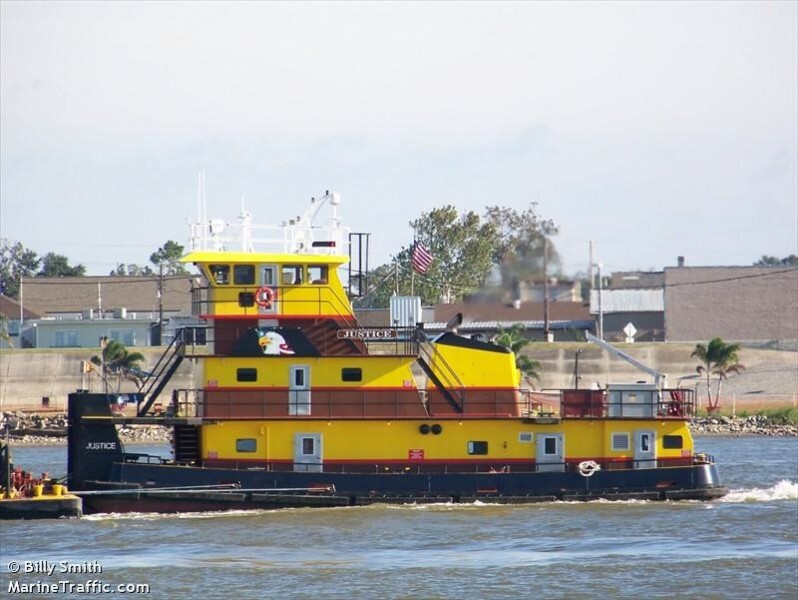 The 30 meter long tugboat Justice suffered a leak and sank in the Mississippi River near New Orleans, Louisiana. The three crew on board were unable to control the water ingress and had to abandoned ship. The tug sank with 5,000 gallons of diesel fuel on board leaving a small sheen on the water. No reports of injuries. Divers were able to plug fuel vents to prevent any further pollution being released. The 50 meter long, 80 dwt passenger ship True North caught fire while off Munster, Australia. The fire started in a cabin on the 3rd deck by a lamp. The passengers and crew were evacuated quickly while local fire brigades extinguished the blaze. No reports of injuries or pollution released. Reports state the fire caused about $100,000 (AUS) of damage on board the luxury cruise ship. The 67 foot long fishing vessel Seafarer sank in the Atlantic Ocean near Assateague Island, Maryland. The Seafarer had become disabled and was taken under tow by another fishing vessel. The vessels were proceeding back to port when weather conditions worsen with seas reaching 12 feet and winds up to 40 miles per hour. A short time later the towline snapped and the vessels drifted apart. The Coast Guard received an emergency beacon alert that the Seafarer had sank. Rescue helicopters dispatched to the scene found one crewman on a life raft. The man was lifted to safety and taken to hospital for treatment. He stated that the Seafarer had lost stability and capsized in the severe weather. Two other crewmen were still reported as missing. A search continued but was later suspended.